Because good things really do come in small packages. 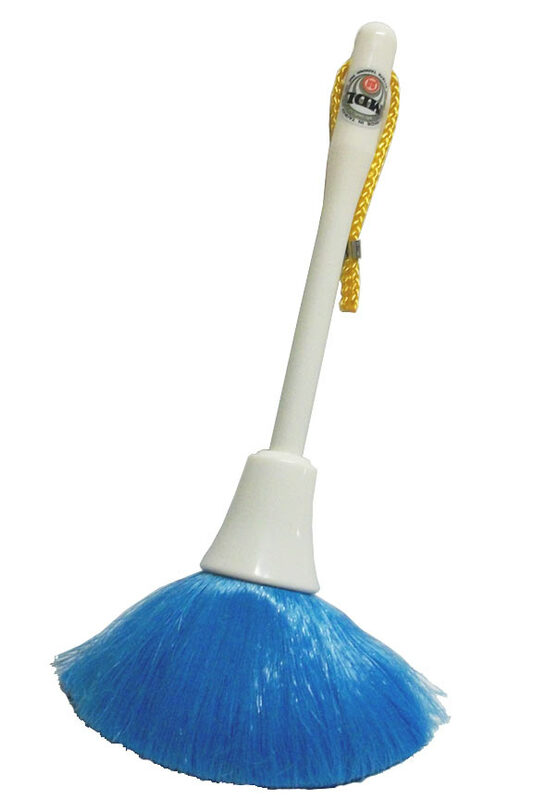 This powerful little dusting tool may look cute, but it is extremely tough on dust. It's small size makes it perfect for quick little jobs, but it is also ideal for any job where portability or precision are important. It can store easily, and is pretty small compared to other alternatives, so bringing it with you, or keeping it on hand is incredibly simple with this tool. Due to the small size, superior materials, and simple design, you will have extreme control when using this duster, and damage to the object you are cleaning is nearly impossible. For this reason, it is perfect for cleaning delicate knick knacks, or expensive figurines. You will be able to get in an around tight areas, and will be able to dust all sides with minimal movement required. Great for keyboards, vehicles, plant leaves and more, this mini duster is part of our static duster set, but if you are not interested in a larger size, or more reach while cleaning, then an individual purchase would make more sense for you. This is a static duster, but you do not need to build the charge in order to dust with it. For some objects, excess static may cause problems, so when cleaning a surface like this, simply do not charge it up before use. For other surfaces where this will not be problematic, and stronger charge in the fibers will increase the cleaning power in order to make your job easier. To build up a charge, simply rub the synthetic fibers on a plastic grocery bag for a few seconds, or until the individual fibers begin to stand on end. Once charged, or if you do not want it charged, you will clean by simply passing the duster over the build up. The gentle fibers will skim the surface and pick up and remove the tiny particles. With a stronger charge, it will act more like a magnet for dust, but even without one, it will remove it better than regular feather dusters can. Don't spend one more minute dusting with old rags and outdated dusters. 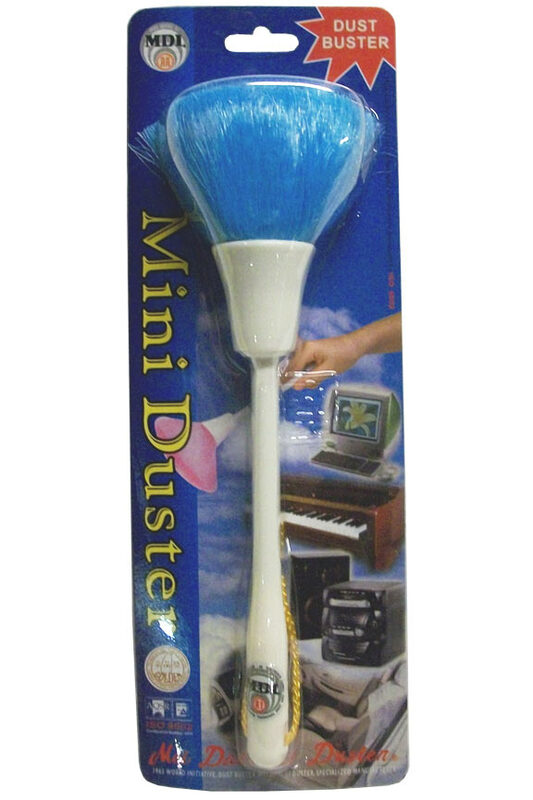 When you use this mini duster, dust will appear to leap off of your furniture, blinds, computer keyboard, television, collectibles, plants and more. Virtually all dust clings to the mini duster instead of being pushed from one spot to another, or scattered into the air like cloths and rags do. After using it, simply shake clean over a trash can or wash with mild soap and water to clean. Use at the office to keep your keyboard dust and crumb free. Use at home to dust figurines, plants and appliances, or clean TV stands, furniture, and shelving. Brush across mini blinds and fibers will wipe both sides at the same time. Keep one in your glove box to clean dashboards and other parts of your car. Take one while traveling to take care of small messes. Perfect for use in an RV because it actually works, but is compact for storage purposes. Safe for any surface type, and will not leave marks or lint. Use safely anywhere that dust decides to fall. These amazing static dusters literally pull dust and dirt from any surface and does so with the gentlest of actions. Miracle electro static fibers attract dust like magic anywhere in your house or vehicle. This mini duster can be used anywhere in your home you want to dust. It's gentle action will never harm any surface you use it on. Keep it next to your computer to keep your keyboard clean. Lift dust and dirt out of the keys with just one pass. Or you could use it to dust delicate knick-knacks or other small items without moving them. Keep it in your car to dust your dashboard on the fly. This mini duster is a handy tool to have around. Stop using dirty rags to dust. Order Your Mini Duster Today! Dimensions 3.25" x 3.25" x 10.5"
Uses For light dusting of any surface. Ideal for keyboards, collectibles, dashboards, figurines and more. Use at home, at work, or in your vehicle to quickly remove dust and leave any surface spotless. Duster Color Varies - Default is random color, but specific requests will be honored when inventory allows. To choose a color, simply tell us what you want in the comments box at checkout. Fiber Type Synthetic - Soft like feathers, but much better at removing dust. Washable Yes. Simply shake into trash under normal use, or wash with soap when it gets really dirty. Pole Attachment No. Is not compatible with extension poles. Mini Duster - A smaller tool for all of those little jobs. Perfect for travel or touch up work, this small dusting tool is plenty powerful to get the job done. Use in your car, and store in your glove box, use at home, and keep it in the junk drawer, or use at work and store it in your desk. Order Yours Today! Very good product, It works really well for what it was made for. Highly recommended. Used this duster yesterday and everything is shining!! It is so easy to use and the results are good!! I recommend it to anybody who likes things to look good. This little duster is exactly what I was looking for. It is perfect for getting into those places others can't reach. does this come in orange?